Below is a letter in the May 30th, 2015 St. Louis Post-Dispatch, from a retired US Air Force officer. He says what many of us have been saying since the Bush administration lied us into the 2003 war in Iraq, but this man has the credentials the rest of us do not have. Millions of Americans and others around the world protested the march to war in late 2002 and early 2003. But Bush, Cheney and the neo-cons had their eyes on Iraq come hell or high water. WE need to repeat what this retired officer says in his letter over and over during the coming debate about what to do or not do in the Middle East. The hawks are circling again. This time we have to shout them down. It now should be pretty clear that the Iraq government and its soldiers are incapable of defending their country. For those anxious to put thousands of American soldiers on the ground again in Iraq, I would remind them that the reason we don’t have more troops there now is that former Prime Minister Nouri al-Maliki insisted that a new status of forces agreement would include the authorization for Iraqi courts to try American soldiers for alleged offenses against Iraqi civilians. That has always been, and hopefully always will be, a nonstarter for conflicts involving American forces in a foreign country. So now what? If we send troops back in, who will we use? How about the ones who have already been over there several times? And what happens when all of those are dead, maimed or insane? Or do we mobilize the U.S., build up a million-man force, and declare Iraq the 51st state? Maybe it’s time to look back at lessons from other wars. Just as in Vietnam, we got involved in Iraq without knowing who we were fighting, what the goals were, and what the exit strategy was. And Iraq had the additional complication that we stepped right in the middle of a 1,000-year-old religious conflict between two Muslim sects that we didn’t even recognize at the time. And all we could do to solve that was build walls between communities to try to separate them. So what’s been the net effect of our incursion into Iraq? ISIS has formed and is probably worse than Saddam Hussein. While we trained an Iraq army to fight, it’s probably not possible to train them to want to fight. The government continues to separate Shiite and Sunni Muslims. So, things are pretty much back to square one. 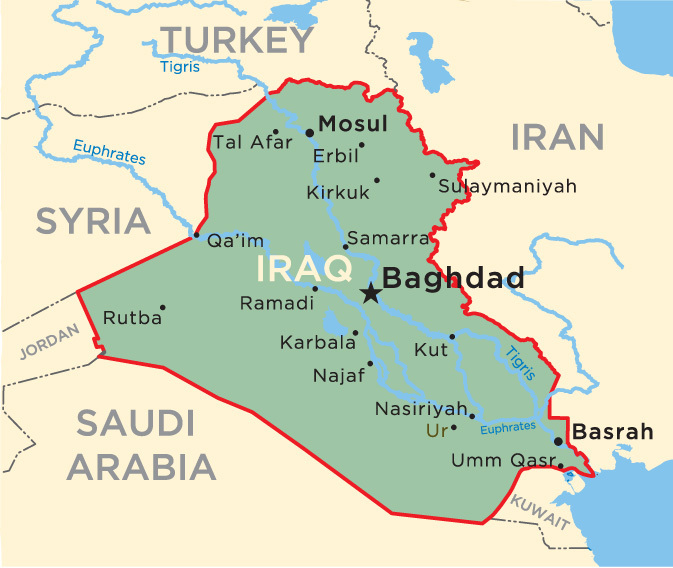 Maybe with the assistance of air power from the U.S., the Iraqi government can salvage part of what used to be Iraq, or maybe not. In any event, whether it’s in our best interest to waste any more money or lives in pursuit of ambiguous goals set by old men who simply want younger men to fight their battles is pretty debatable. Next Post:New rules for Medicaid managed care: What do they mean for Missouri?